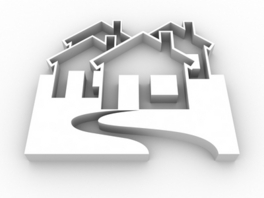 Home Insurance What is Title Insurance? What exactly is home title insurance, and why do you need it? We take a look. If you’re in the process of buying a home or have purchased a home in the past, you may have come across a fee labeled “Title Insurance” when evaluating your closing costs. The obvious questions may have arisen: just what is title insurance, and why do I need it? Simply put, title insurance is insurance that compensates for loss from a defective title or liens that should have been known initially. Real estate title insurance is designed to protect the homeowner or lender’s interest when it comes to future title problems. Title insurance comes in two common forms: Owner’s title insurance and lender’s title insurance. Owner’s title insurance is issued for a one-time fee, when the property is purchased. Owner’s title insurance lasts as long as you or your heirs have ownership in the property. The reasoning behind the purchase of owner’s title insurance is that the owner will be protected should title issues arise, that may have not been discovered in the original title search. Under these policies, any future legal fees that may come to fruition are covered. Extended owner’s coverage, as the name implies, provides additional titleinsurance coverage. An extended title insurance policy will often protect against such additional defects as building encroachment, property tax liens,subdivision violations, and more. This self-protecting form of title insurance cancost you an additional 30 to 50 percent above a typical policy. It may seem pricey, but extended coverage is often the prudent way to go, especially when legal issues may be a concern, such as a builder bankruptcy. Lenders title insurance, which is also referred to as a Loan Policy, is required by your lender when financing a home. Should a problem with the title emerge, the lender is protected. You pay up front and it lasts until the mortgage is paid off. Much like private mortgage insurance, lenders title insurance is designed to protect the lender, and not necessarily you. Title insurance is purchased with a one-time premium due upon close of escrow. Who will pay for the home title insurance policy is determined by your county. In some cases the buyer will pay while in others the seller pays. Sellers and buyers often split the cost within a buyer’s policy. Whereas, the lender’s policy is most often paid by the buyer. According to bankrate.com, the U.S. average title insurance cost amounts to $663. The high level of referral fees prevalent within the industry has had its share of controversy over recent years. The typical consumer really has no idea where to look when seeking out a title insurance agent, so it’s natural for lenders, brokers and the like to introduce these relationships. These introductory referral fees are illegal, according to the Real Estate Settlements and Procedures Act (RESPA), but due to regulatory difficulties such relationships are still ubiquitous in today’s market. A good solution to this problem would be to require lenders to purchase their own title insurance policies, as they’re the ones that are really being insured. Though, it’s probably not likely. If you’re looking for the best title insurance rate it may be worthwhile to search out a competitive title insurance quote, though some states actually set the title insurance rates, so you’ll want to check with your specific state. A common misconception is that new homeowners don’t need real estate title insurance. This is not the case, as they may be the first owners of the home, they aren’t likely the first owners of the property. The property may still have defective title or liens from previous ownership, which could cause issues. Additionally, there is the possibility that the builder has liens against him and the property, due to an unsatisfied subcontractor, or the like. Home property title insurance protects in these circumstances as well. In this day in age, a simple title check just isn’t enough. Regardless of how thorough a title search may have been, the chance for mistakes or fraud always loom. Forged documents may be exposed, public records may be incorrect, new beneficiaries may emerge, and so forth. These are common risks that make the need for title insurance and it’s protection a necessary one.